Kevin P. Chavous specializes in education, corporate diversity counseling and public law and policy strategies for Sonnenschein, Nath & Rosenthal LLP. He provides general legal representation for several universities on a wide range of matters. In addition, he provides counsel to primary and secondary schools on various regulatory and legal compliance matters. He is regularly s9ought out for his advice regarding emerging charter school development issues in jurisdictions throughout the country. He provides assistance to states in early stages of developing charter schools and other alternative education institutions. His book, "Serving Our Children - Charter Schools and the Reform of American Public Education," explores what Washington D.C. educators and other leaders have learned from the charter school experience and what it means to American public education as a whole. Mr. Chavous served three terms in the Council of the District of Columbia where he was considered a forceful legislative promoter of fiscal restraint and improved city services. As Chair of the Council's Committee on Education, Libraries and Recreation, Mr. Chavous was at the forefront of education reform within the D.C. public school system. His efforts led to over 500 million new dollars being made available to educate children in the nation's capital. 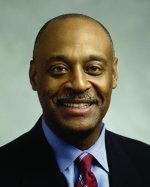 A leading national advocate for school choice, Mr. Chavous helped to shepherd the charter school movement into the District. Under his education committee chairmanship, charter schools grew from zero to more than forty schools and 17,000 students in six short years. That number represented twenty percent of the overall public school population in the District of Columbia, the highest percentage of charter schools in the country. His efforts on behalf of charter schools earned him the prestigious MAC award. Mr. Chavous also helped to lead the effort for the three sector education strategy between the federal government and the District of Columbia. That relationship led to over 45 million federal dollars being spent in the District for charter schools, D.C. Public Schools and the first federal scholarship program in the country. Mr. Chavous periodically teaches education and local government law as an adjunct professor at American University's Washington College of Law. He has also taught trial advocacy at the National Institute for Trial Advocacy (NITA), and participated as a faculty member at the Harvard University Trial Advocacy Workshop. He regularly lectures for the District of Columbia Bar.